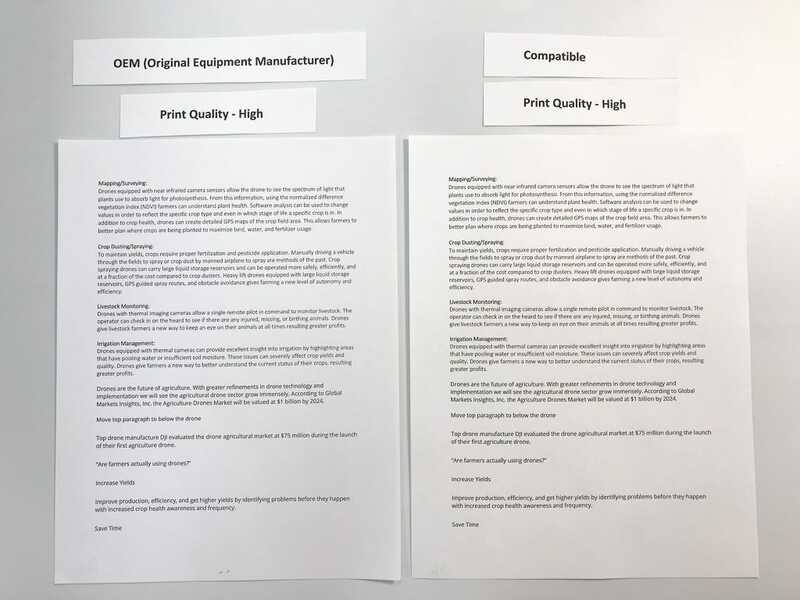 Original Name Brand Genuine OEM vs Compatible Generic Third-Party Printer Ink Toner Comparison. 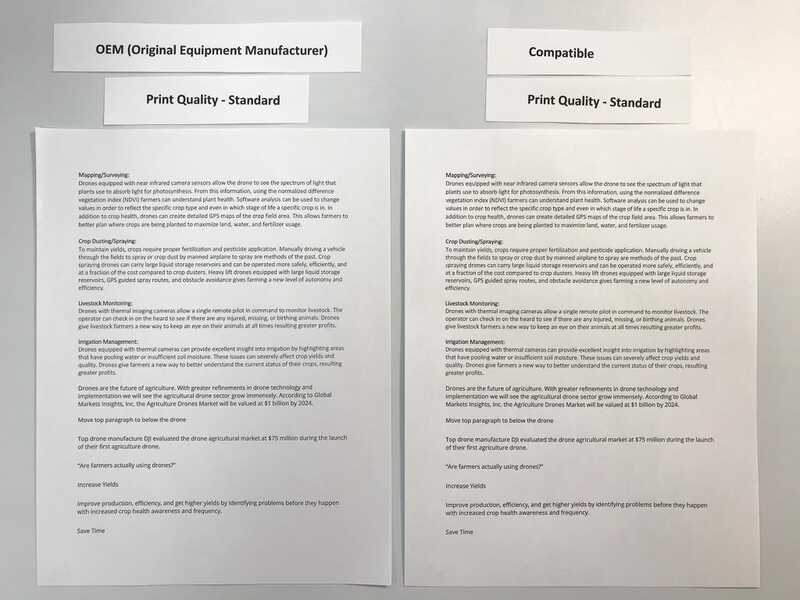 What is Compatible or Generic Ink?Compatible ink and toner are replicas of the original manufacturer product and include more ink but at a much cheaper price. inkjets.com sources only the highest quality ink cartrdiges and belives customers should have a choice when deciding what ink to use in their printer and not be subjected to high corportate ink prices. 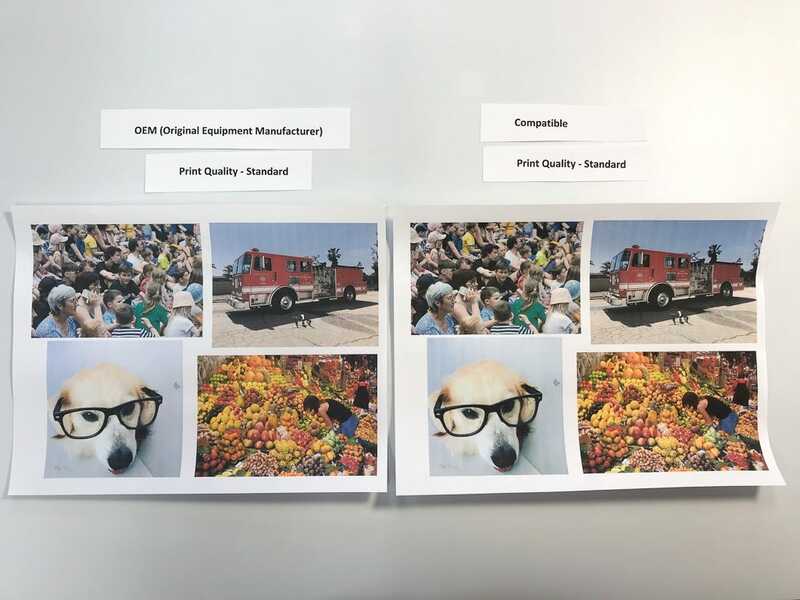 What is Genuine Name Brand OEM Ink?Genuine OEM is expensive name-brand ink that you would buy at an office supplies store such as Office Depot or Staples.These are the bg pritner ink brand names such as Canon, HP, Brother, Ect. What is Remanufactured Ink?Remanufactured ink is using the shell or case of the original manufacturer cartridge or toner, cleaning it, refilling it with our ink, and then reselling it. What is the Cheapest Ink for Printers? The cheapest ink depends on your printing needs. If you are printing hundreds of pages a day, toner is the best option as it is much cheaper per page. If you are looking for a printer for home use stick to a two cartridge printer. One color and one black, this will keep the price down. If you want to print high-resolution photos, a more expensive 5 cartridge printer will get the job done. The best way to keep printing prices down is to use compatible ink, NOT name brand. Remember big printer companies make all the money off overly expensive ink cartridges. Inkjets.com offers an alternative to high ink prices with compatible ink cartridges. 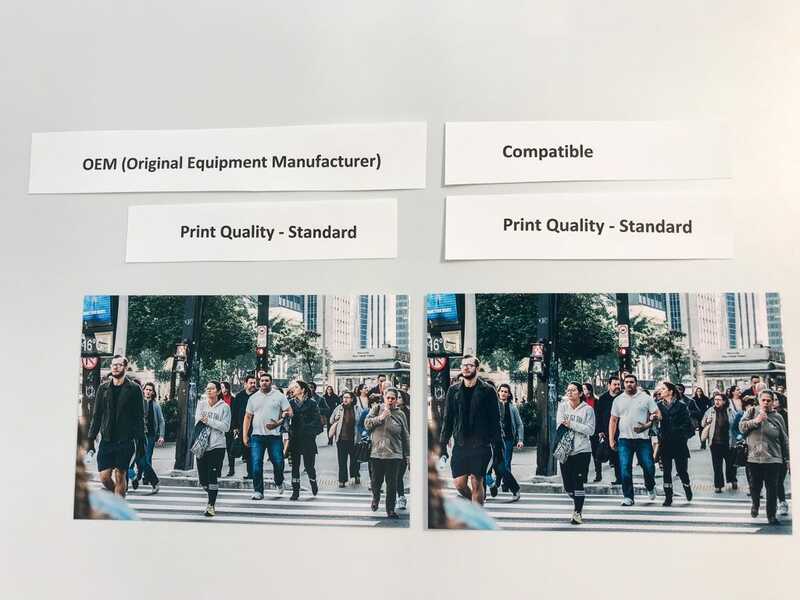 Compatible ink cartridges may look different than the original, but they fit into the printer the same, they have higher ink levels and source the same ink as the original. Inkjets.com offers 1-year money back guarantee. Why is Ink so Expensive? Printer manufacturers often sell printers at cost and make returns on the expensive ink required to make them print. Compatible or generic ink makes printing much less expensive due to not paying for the giant corporate brand name. What is compatible ink? 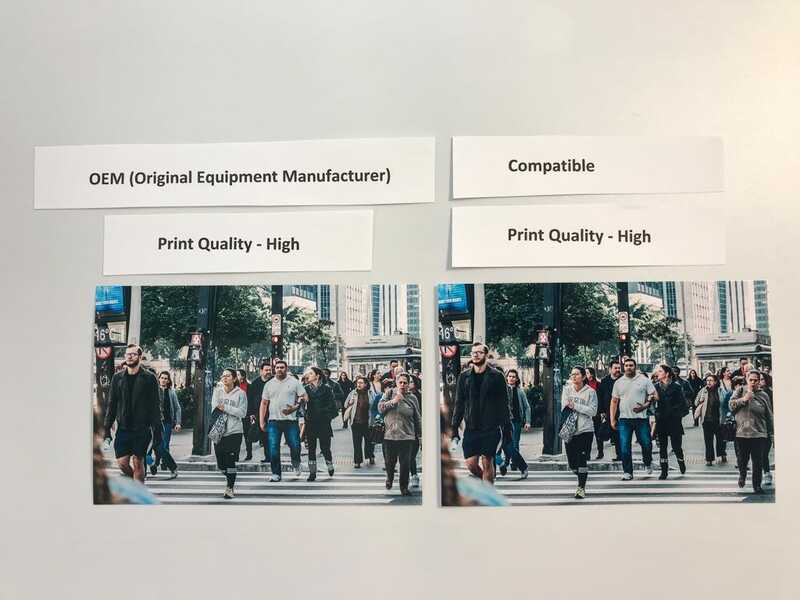 Compatible cartridges fit into the printer the exact same, are often filled with more ink, and use the same or better ink quality. A company that offers the highest quality compatible ink and toner is inkjets.com. 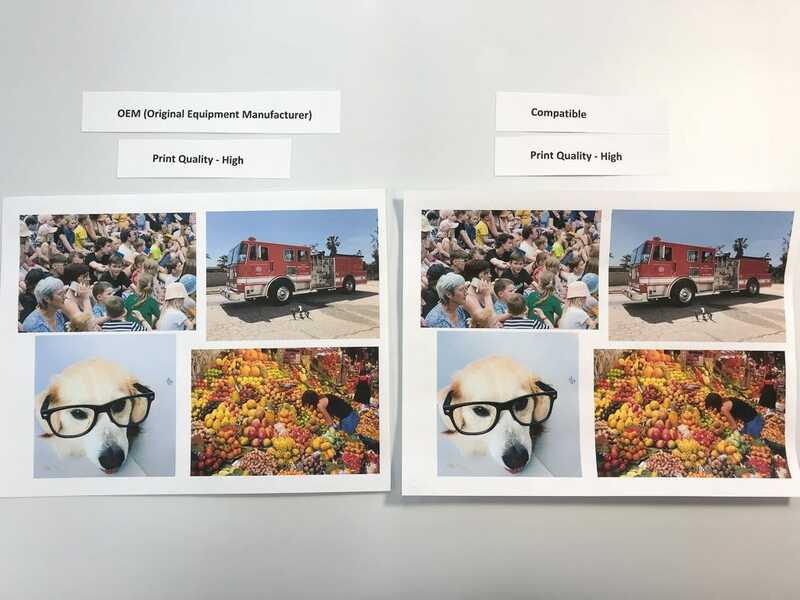 inkjets.com has superior quality control and ensures that all ink and toner cartridges are up to the highest printing standard. Inkjets.com has an on-site customer service department that is ready to assist you if you need any help and they offer 1-year money back guarantee. Why is it Cheaper to Buy a New Printer Than Ink? Printer manufacturers often sell printers at cost and make returns on the expensive ink required to make them print. However, there is an alternative to expensive name brand ink, it is called compatible or generic ink. 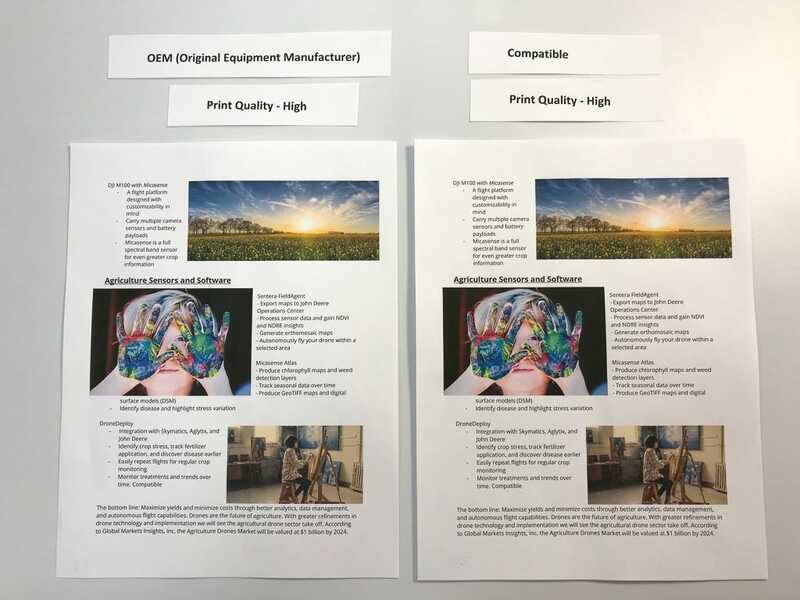 Generic or compatible ink is designed specifically to beat the big-name brand print manufactures at their own game. These compatible cartridges fit into the printer the exact same, are often filled with more ink, and use the same or better ink quality. The best part of this is that they cost significantly less than the name brand. An American company, inkjets.com has been sourcing the highest quality compatibles for years now. inkjets.com offers compatible ink and toner cartridges on hundreds of printers. Inkjets.com even has an on-site customer service department that is ready to assist you. Inkjets.com also offers a 1-year money back guarantee. Price: We picked up the 5 genuine Canon ink cartridges from Office Depot/Office Max for $81.01. To compare, the 5 piece combo pack from inkjets.com after standard shipping and tax in California would be $23.69. That’s a savings of over 70%! Method: For this ink challenge we used the Canon MX922 printer one of the most popular printers. The cartridges that we used were the Canon genuine PGI-250 (PGBK), CLI-251(Y), CLI-251 (M), CLI-251(C), and CLI-251(BK) cartridges and the Black PGI-250XL, Cyan CLI-251, Magenta CLI-251, and Yellow CLI-251 compatible high -yield ink cartridges. The compatible cartridges use clear plastic allowing you to see inside. 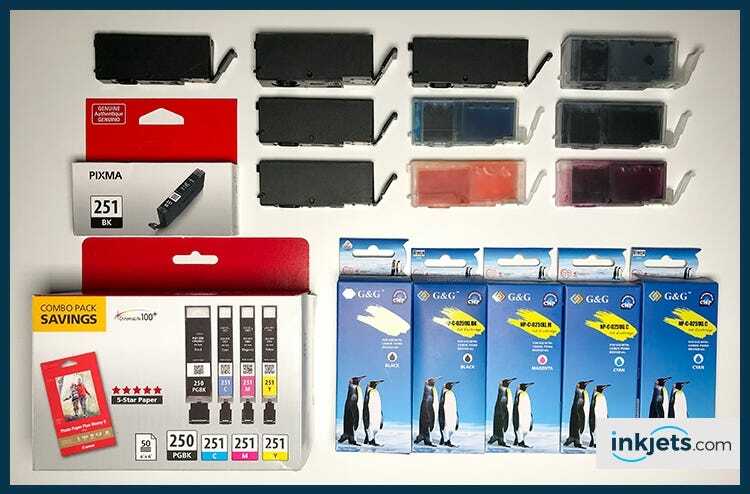 The genuine cartridges use non-transparent black plastic to hide the contents. 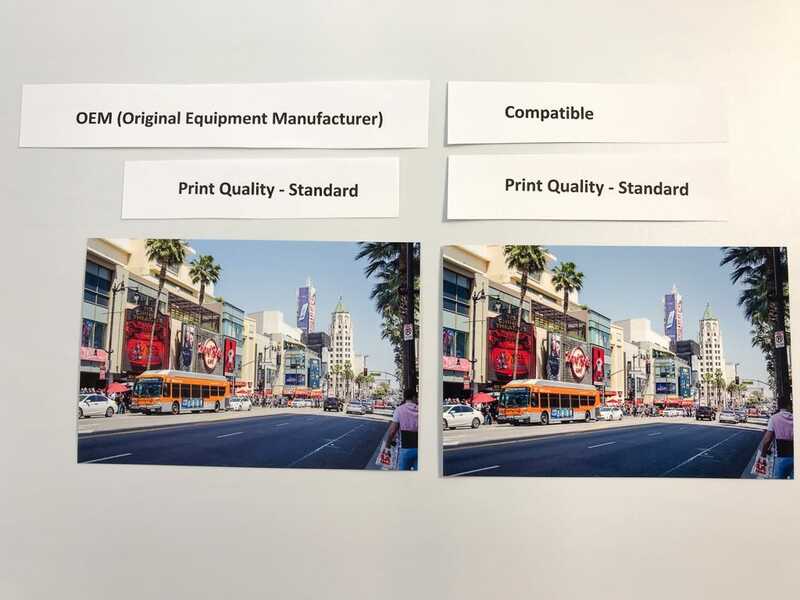 To keep everything consistent we used the same printer and paper for the comparison. Once we loaded up the compatible cartridges we did a full printer cleaning, auto printer head alignment, and did the printer nozzle check pattern. We then printed the 5 different prints in two different print settings, standard, and high quality. After we were done printing with the compatible cartridges we swapped them out for the OEM/genuine ones and completed another calibration. We once again printed the 5 prints in two different print settings. 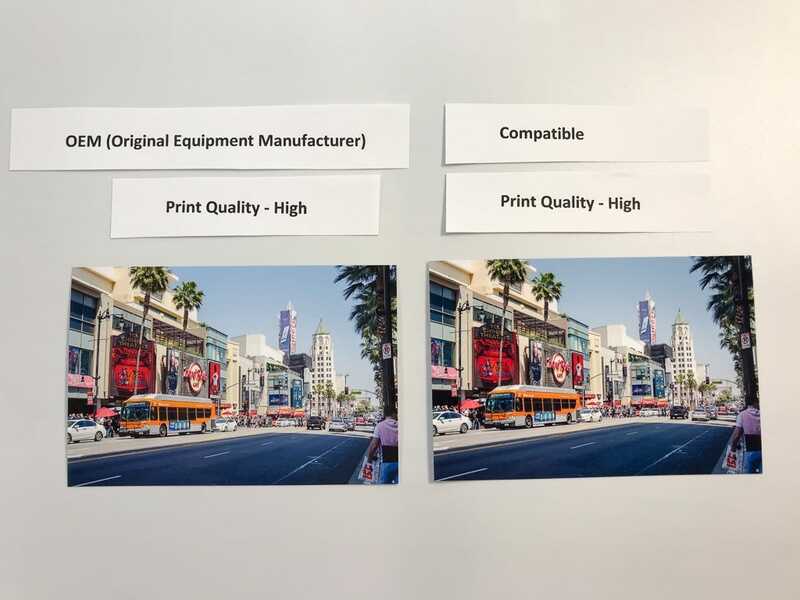 Conclusion: In our own test with the Canon PGI-250 and CLI-251 compatible cartridges we found that the print quality between the genuine and compatible ink was indistinguishable. We welcome you to test our compatible ink cartridges. If you are not 100% satisfied with the print quality we offer a 365-day money-back guarantee. See the prints for yourself!